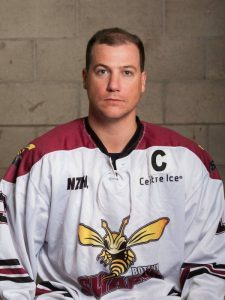 The 2019 Botany Swarm squad has been working hard in preparation for the upcoming NZIHL season. Pre-season team fitness sessions began at CrossFit East Tamaki back in early February, and with many of our players having been involved in various summer leagues or as part of the upcoming Ice Blacks campaign, the team will be ready and rearing to go this year. The players are looking forward to on-ice practices which commence in early April followed by the pre-season exhibition games against the West Auckland Admirals in early May. A weekend training camp before the NZIHL season commences on 25 May. We have had success recruiting local talent over the off-season and have also focused on bringing strong junior players on board – a new and exciting direction for the the club this season. We are starting to build real depth which means all players will have to work hard and really fight for their spot on the roster. We cannot wait to get going in 2019, and we look forward to your support!